Many cultures that reach back a long time don’t exist anymore. This is sad but luckily does not go for the great nation of china. Until 1959 it was thought that the first dynasty of Chinese rule, the Xia dynasty was a myth until proof has been found. Short after, in the succeeding dynasty, the Shang dynasty the first proof for the Chinese writing has been found. Since then the symbols have gone through many changes and developed from simple symbols to more complex characters. In 221 BCE finally, the war between the many different kingdoms ended when the Qin dynasty unified the Chinese under one rule and Imperial China was born. Especially in this period the culture flourished, and many traditions of the old days are still known and some of them are still very much alive. Especially everything related to luck comes from this period and is spread all over the great nation until today. 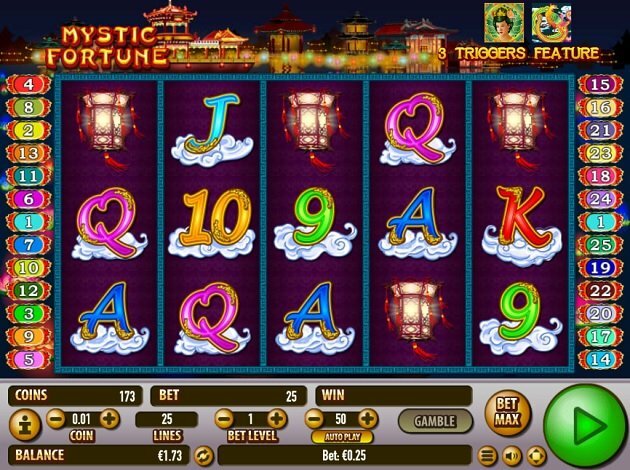 We are happy to introduce you to Habanero’s Slot Mystic Fortune, another adventure set in the China of mystical times including many symbols of luck and hence promising many wins and lots of fun! Sometimes it is not easy having an overview with new symbols and for this reason Habanero keep the well-known 5 reels and 3 rows grid. This way you have 15 fields on which to combine and win. 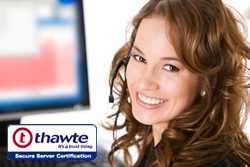 You have a total of 25 pay lines on which you can get at least two to three symbols of the same kind in a rows. Bets can be placed and modified by the coin size, the bet level and also by the number of lines played. This way you are able to play for sums between € 0.01 and € 125 with an RTP of 96%. For better luck this game has a nice twist to the free spins. As usual, they can be triggered with the three scatter symbols. Once they appear anywhere on the reels, regardless of if they are on a pay line or not you activate the spins. And then there is another way to trigger and activate the free spins, the bird symbol. This Bird is Fenghuang herself, the female counterpart of the dragon and a symbol for luck. The Fenghuang is also the wild which doesn’t substitute for the scatter, but also triggers spins. There are different amounts of spins you get from the different symbols. The princess gives you 15 rounds whereas Fenghuang only rewards you with 10 rounds but either way all winnings from these spins are tripled and can, of course, be retriggered. It is impossible to list all the different symbols for luck and most of them would also be too confusing for this set up which is why the base symbols are taken from the card game. The 9 and 10 each pay 100 coins when you get 5 in a row, jack and queen already 200 and king and ace 500 coins per bet level. Now the Chinese lantern already pays 1000 coins, the colourful pot 2500, the dragon 5000 and the Chinese symbol for blessing or luck rewards you with a gigantic 10,000 coins. Only the Fenghuang pays more, 15,000 coins when having 5 in a row. All the symbols and the decorations are Chinese. In the background, oy can find a scene of illuminated medieval Chinese houses at night, next to a lake or river. The background unfortunately is left silent and the sound effects remind you more of the usual slot. Still, the design managed to capture the vibe of Chinese lucky symbols and most of all focuses on wins. The amounts you can win in this adventure are outrageously high. It already begins with the lowest paying symbols giving you 100 coins with 5 in a row. But also, the higher paying symbols are extremely high in value which is why this slot is worth a try. Also, you have a free spin mode with tripled winnings, as if the winnings per symbol wouldn’t be high enough already, and two different ways of activating them. On one hand you have the normal scatter symbol, the Chinese princess which gives you 15 spins and the Fenghuang, the lucky bird, also called August Rooster, that activates 10 free rounds. Spin away in this historical adventure of luck and sky-high winnings!